Welcome to Anchor Dental, where you and your family always come first! 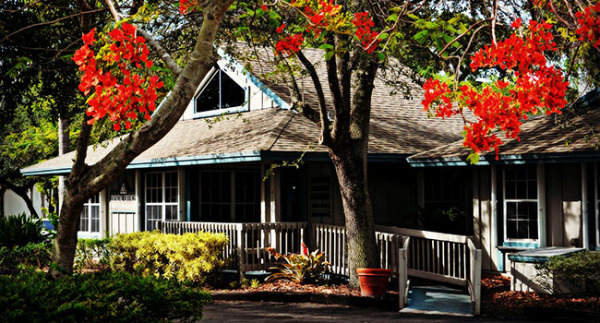 With two convenient locations in both Stuart and Okeechobee, FL, Anchor Dental is home to three exceptional dentists: Dr. Tom Cogsil, Dr. Sri Ghanta and Dr. Jenny Askeland. With decades of combined experience in dentistry between the three of them, our dentists have the knowledge and education necessary to ensure that your family achieves all their dental and smile goals. Our office was even voted #1 in the Stuart News Readers’ Choice Award for “Best Dental Center” – it’s obvious to all of our patients that we truly care about you and your oral health. Here at Anchor Dental, we aim to make dentistry and dental care fun for the whole family. Our friendly, jovial, and kind dental team go above and beyond to make you feel comfortable and happy throughout each visit. Using some of the latest technology, such as 3D CBCT imaging, and offering advanced dental services, including implant dentistry and sedation dentistry, we will make your smile healthy and beautiful in no time! We are also there for you when you need us most, so if you or your child is experiencing a dental emergency, call our office right away to receive the answers and care that you need. Since 1978, the dentists and exceptional team at Anchor Dental have been serving families and individuals in Stuart, Palm City, Hobe Sound, Jensen Beach, and the surrounding communities in Florida. In 2016, we opened our second location in Okeechobee, FL and will serve all of Okeechobee County. From cosmetic dentistry, implant dentistry, and CBCT imaging to sedation dentistry and same-day emergency appointments, we can meet all your family’s dental needs in one of our two convenient locations. Call us today to schedule your next appointment with one of our dentists and begin improving your oral health and smile now! Ready for a Visit? Please contact our office today to schedule an appointment!